If you stepped foot on the Canisius College campus within the last seven years, there is a good chance you have met Dr. Barbara Irwin’s therapy dog, Juno. “Juno is better known than I am on campus,” said Dr. Irwin with a chuckle. Juno started her therapy dog career by visiting ASPIRE and various nursing homes. She then started going to the Canisius College library and comforted students who were stressed with homework and final exams. “The students really love her. They say funny things like, ‘This is the best thing that has happened to me all week,'” said Dr. Irwin. 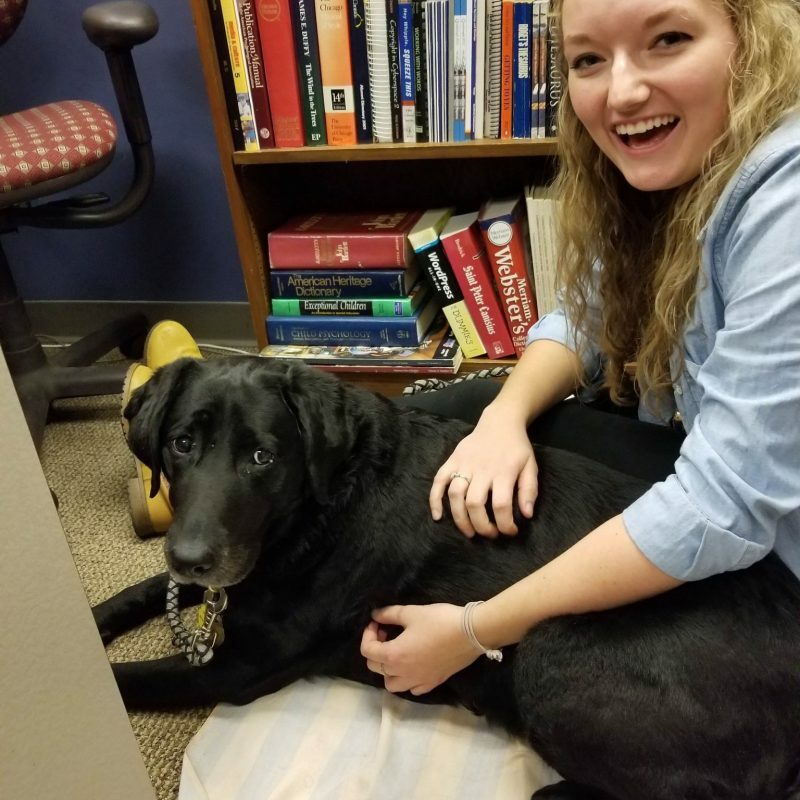 Shortly after she started visiting Canisius, the Canisius College Counseling Center approached Dr. Irwin to have Juno participate in their Stress Less Days. The Counseling Center organizes a Stress Less Day once per semester as a way to counteract the anxiety of students. Juno was a perfect fit for the event because therapy dogs are dogs that are trained to provide comfort and affection love to people who might be affected by anxiety. “She puts everyone in a good mood and she also brings people into the office. Students often just pass through, but when Juno is here they stop and talk. It really builds a sense of community,” said Devon Bradley, Graduate Assistant in the Communication Studies office. Juno was not always set out to be a therapy dog. In fact, Dr. Irwin described her as the “class clown” of her puppy training classes. However, she endured months of training and much to Dr. Irwin’s disbelief, passed the therapy dog certification test. Dr. Irwin says that the process has been rewarding and she believes that Juno is a valuable member of the Canisius College community. “Just watching her with people, you can see the stress just melt away. It’s also a two-way street. Juno is so happy. She loves attention,” said Dr. Irwin.